*Funded children receiving 15hr EEF attending the morning session and attending lunch club are to be collected at 12:30. Children for the afternoon session who are attending lunch club are to arrive at 11:30. Parents have the option to collect their child at the end of the morning session at 11:45 and return them at 12:00 if they do not wish to partake in the lunchtime supervision. **Funded children receiving 30hr EEF have the option to attend Early Bird between 08:45 - 09:00 for an additional fee but this must be on a permanent half-term basis. If parents choose to opt out of this benefit a half terms notice is required. Local Education Funding is available for all children the term after their third birthday. Your entitlement is 15 hours per week FREE, though most start with 2 sessions or 6 hours and build up. Parent Declaration forms are completed by the Pre-school and require proof that your child is eligible for funding. All the necessary paperwork is completed by Pre-school. 30 hour Early Education Funding Eligibility is applied for by the parents not the Pre-school. RBWM have produced a Childcare Choices website (see attached) which is now up and running and taking applications for the 30 hours. Whilst the EEF provides funding for the 30 hours, this by no means covers the full cost of a child attending the pre-school, who are permitted to apply certain charges (see below) in order to maintain the high standard of care and activities on offer. ​In order to receive and avoid any shortfall in the 30HR EEF all parents must check and reconfirm their details every 3 months via their Tax-Free Childcare account. Any shortfall in the funding will be passed on to you the parent. The Pre-school is open 38 weeks in term time only. A non refundable administration fee of £50.00 is payable with your application form. Administration fee for subsequent siblings is £35. No administration fee is charged where parents wish to register their child for a EEF place only. However, where parents review their childcare needs and subsequently opt to purchase additional hours, it is important to note our standard non-refundable administration fee of £50 will become immediately payable, even if the child has already started their place with us. A deposit of £75.00 per child is payable upon completing the registration form 10.4 and signing the terms and conditions 10.13. Deposit will be returned to parents when their child leaves the nursery, subject to fees being paid in full and due notice given. Fees are invoiced at the end of each half term for the following half term and are due on the first day back each term. 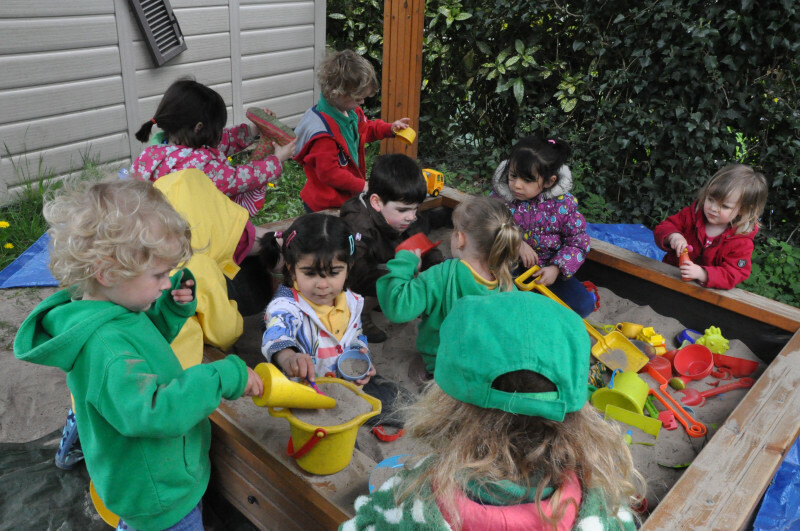 The Pre-school accepts Employers Childcare Vouchers. More information about Childcare vouchers from the HMRC. If your child attends another nursery/pre-school please be aware only 5 sessions in total are funded. Any duplication of funding will be picked up by the Borough so please advise us and complete the declaration form as necessary to indicate if funding is to be allocated to more than one location. THE BOROUGH HAS ADVISED THAT AS OF JANUARY 2010 ANY DUPLICATION OF FUNDING COULD RESULT IN FUNDING BEING WITHDRAWN, THE COST OF WHICH WILL BE PASSED ON TO THE PARENTS. Funding is determined each term on a particular date decided by the Borough, known as the headcount date. The headcount is taken on the given date and children must be registered for a session on or before that date to be eligible for funding for that term. Please ask for details if you are unsure how the funding is awarded. Any change in attendance or address must be reported to the borough. If the amount of hours attended has increased or decreased, a Parent Declaration Form indicating the change of details must be returned with the final headcount forms.